Ray Isle shares his favorite breweries, wineries and distilleries in all 50 states. Even if you can’t make one of the frequent “Happenings” here—think drum circles and fire dancers—stop by the Birmingham brewery to quaff the excellent, wheat-based Bankston 88 Belgian Blonde. trimtabbrewing.com. In an old Army fort in the tiny town of Haines, distillers Heather Shade and Sean Copeland are making one of the tastiest craft gins we’ve had recently: 50 Fathoms Gin. Is the place remote? Sure. Is it worth the trip? Definitely. portchilkootdistillery.com. Forget cactus. Think grapes. Arizona’s wine scene is little-known outside the state, but its best bottles are superb. In the Sonoita region, visit pioneer vintner Kent Callaghan for intense reds like his 2013 Caitlin’s Red, a spicy Petit Verdot blend. callaghanvineyards.com. Pedal up, dismount and relax into a pint of toasty Epic Trail Amber Ale at this brewery, founded by four cyclist friends, in Bentonville’s Arts District. bikerackbrewing.com. Pick one standout in a state with over 4,000 wineries? Impossible. But still, it’s hard to argue with Napa Valley’s Shafer Vineyards as the choice. Book in advance to taste the iconic Hillside Select Cabernet, one of California’s greatest reds. shafervineyards.com. Rye and wheat from a family-owned Colorado farm go into some of the best whiskeys around at this Denver micro-distillery. Stop by to sample the spicy Four Grain Straight Bourbon Bottled in Bond. lawswhiskeyhouse.com. 7 of 50 Courtesy of New England Brewing Co. Fans line up for this New Haven–area brewery’s obsessively sought-after Fuzzy Baby Ducks IPA. That’s a great beer, to be sure, but don’t bypass the roasty, delicious Imperial Stout Trooper, which, at 9.5 ABV, packs a blaster-like wallop. newenglandbrewing.com. If you need to immerse yourself in everything Dogfish Head, stay a night at its quirky, beer-themed inn in nearby Lewes. A glass of the beloved 90 Minute IPA, followed by a comfortable bed? Sign us up. dogfish.com. The citrusy, robustly hopped Jai Alai IPA is one of Florida’s most popular craft beers, and the riotous Tampa tasting room is a fine place to down a pint of it. cigarcitybrewing.com. : Creature Comforts Brewing Co.
Head to this 1940s Chevy dealership-turned-brewery in Athens for top-quality brews, among them the acclaimed, citrusy Tropicália IPA. creaturecomfortsbeer.com. With 32 taps, food trucks outside and spectacular views, this lively brewery tasting room is a must-visit on Maui. Try the bold Double Overhead Double IPA. mauibrewingco.com. In 2008, Idaho native Melanie Krause opened Cinder Winery near Boise. At her tasting room (in a former produce warehouse) try the smoky Syrah from the state’s Snake River Valley AVA. cinderwines.com. All of FEW’s impressive gins and whiskeys are entirely distilled and aged at its Evanston facility. Don’t miss the citrus-and-black-tea-inflected Breakfast Gin. fewspirits.com. : Three Floyds Brewing Co.
Three Floyds is legendary thanks to its Dark Lord Day festival every May. But its Munster brewpub is open year-round, with 15-plus choices on tap, such as the flagship Alpha King Pale Ale. 3floyds.com. Drop by Swisher’s Cedar Ridge to enjoy superior spirits such as founder Jeff Quint’s toffee-scented Iowa Bourbon Whiskey, along with pizzas from the wood-burning oven. crwine.com. This Kansas City–area whiskey specialist does all its distilling and barreling in-house. The payoff? Top-notch spirits like its Reunion Straight Rye Whiskey, made with local grain. unionhorse.com. Bourbon legend Lincoln Henderson’s legacy lives on at Angel’s Envy, the Louisville distillery he founded in 2010. Hit the tasting room to try the subtly red-fruited Port Finish Kentucky Straight Bourbon. angelsenvy.com. It’s an hour’s drive north from New Orleans to this brewery’s destination-worthy taproom in Covington, where you can try its benchmark Turbodog Brown Ale. abita.com. 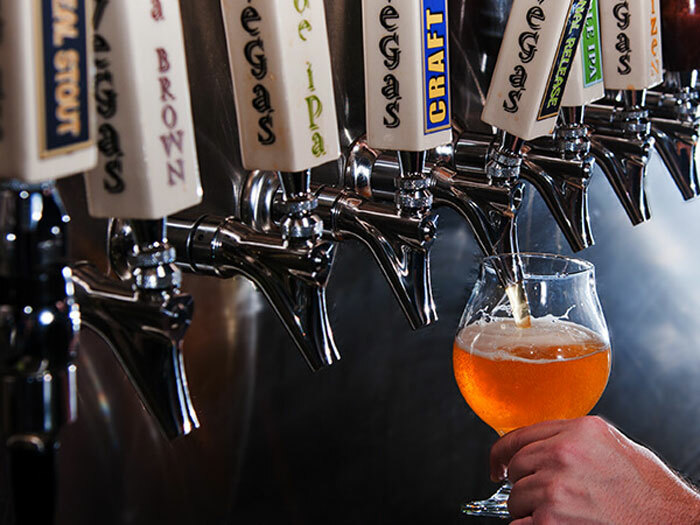 Portland’s Allagash was early to the cask-aged beer game, and brews like its luscious Curieux, a bourbon-barrel-aged Belgian-style triple ale, are standard bearers. allagash.com. We feel that Under Armour founder Kevin Plank put his fortune to excellent use when he opened Baltimore’s Sagamore Spirit. Stop by the Inner Harbor–area distillery to try the intense Rye. sagamorespirit.com. 21 of 50 Courtesy of Trillium Brewing Co.
Until this popular Boston brewer opened its Canton location in 2015, devotees had to fill growlers and then skedaddle. Now you can take a seat to try limited releases on tap as well as favorites like the grassy, dry-hopped Heavy Mettle Double IPA. trilliumbrewing.com. The über-talented Sean O’Keefe may be Michigan’s premier winemaker. At Mari’s Upper Mission Peninsula tasting room, you can check out his elegant wines, including the Mari Riesling. marivineyards.com. 23 of 50 Courtesy of Surly Brewing Co.
At Surly’s vast beer hall in Minneapolis, order a glass of the funky Belgian-style pale ale Cynic to go with some of the excellent barbecue. surlybrewing.com. 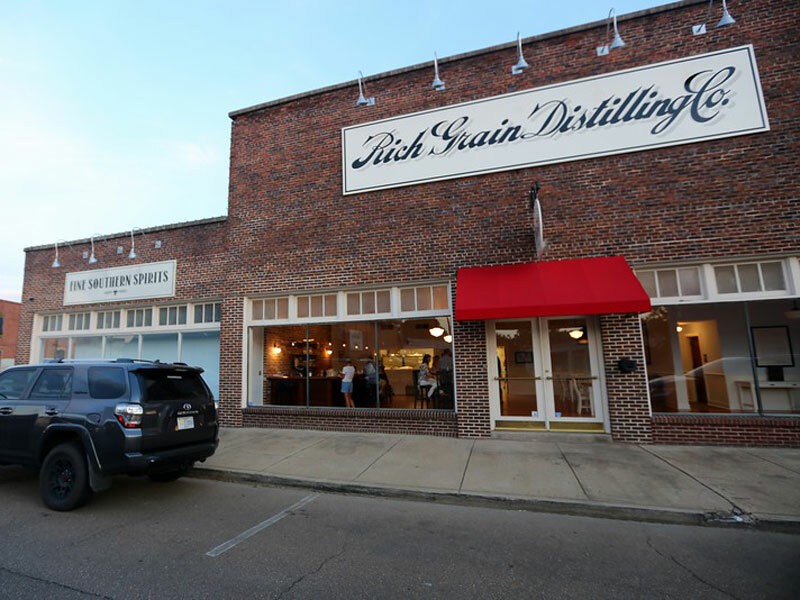 : Rich Grain Distilling Co. Inside an 1880s brick building in Canton, distiller Dave Rich makes some of the best spirits we’ve tasted lately. Sign up for one of the regular Saturday tours, then sample his superb caramel-tinged bourbon. richdistilling.com. Cory and Karen King brilliantly hit both the barrel-aged and sour beer trends with their brews. Visit their St. Louis–area tasting room, The Cellar, to check out their fragrant La Ruche Honey Saison. sideprojectbrewing.com. This Helena craft brewer uses Montana-grown malt for beers like its toasty Back Country Scottish Ale, while also supporting local nonprofits. lewisandclarkbrewing.com. Jason Payne’s subtle Cut Spike Distillery Single Malt Whiskey is a winner, and so is his crisp Lucky Bucket Brewing Pre-Prohibition Style Lager. Conveniently, the tasting rooms—just outside Omaha—are adjacent to each other. cutspikedistillery.com; luckybucketbrewing.com. Take a break from the craps table—your odds of winning are better with beer. Just head to this Las Vegas taproom, where you can grab a cool pint of its creamy Hauling Oats Oatmeal Stout. Jackpot. tenayacreek.com. Blueberry wine? Hold your skepticism until you try Ken Hardcastle’s Petite Blue Reserve. It’s completely dry and thrillingly fragrant. Sample it at the winery’s tasting room in Meredith. hermitwoods.com. a 30-minute drive north of Trenton—the complex 2014 Home Vineyard Chardonnay will lay to rest any doubts you have about the quality of New Jersey wines. unionvillevineyards.com. Champagne? Nope: New Mexico sparkling. But if that’s what you thought after tasting this winery’s elegant NV Blanc de Noirs, you wouldn’t be the first to be fooled. Swing by the Albuquerque tasting room for limited cuvées sold nowhere else. gruetwinery.com. Among the Finger Lakes’ many fine wineries, Ravines in Geneva gets our nod, not only for its steely 2015 Dry Riesling but also for chef Scott Riesenberger’s terrific three-course “Ravinous Table” pairing lunches. ravineswine.com. 33 of 50 Courtesy of The Duck-Rabbit Craft Brewery, Inc.
An early player in North Carolina’s craft beer scene, Greenville-area “dark beer specialist” Duck-Rabbit is still one of the best. During the winter months, be sure to try the superb Baltic Porter. duckrabbitbrewery.com. Four native North Dakotans started Fargo in a garage in 2010. Today their brewery and taproom is a popular draw, thanks to excellent brews like the hop-intense, piney Wood Chipper IPA, as well as limited-release offerings. fargobrewing.com. 35 of 50 Courtesy of Great Lakes Brewing Co.
: Great Lakes Brewing Co. 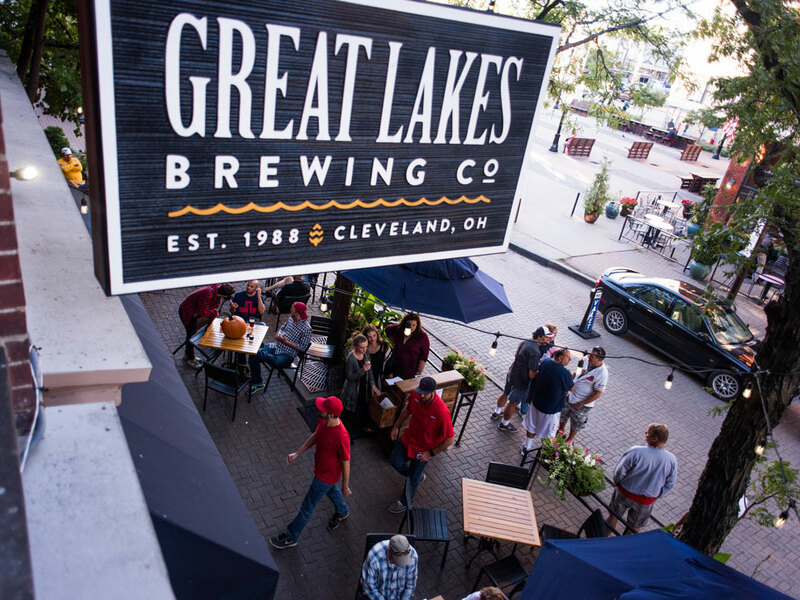 Early out of the gate in the indie brewing race—it opened in 1986—Great Lakes brought craft beer to Cleveland, and is still going strong. Sit down at the taproom’s mahogany bar for a glass of its rich, ink-dark Blackout Stout. greatlakesbrewing.com. Feeling brave? Head to Tulsa to try Prairie’s Bomb!, a crazily luscious Imperial stout infused with coffee, chocolate and ancho chile that clocks in at 13 percent alcohol. Or, for a more sessionable option, go for Standard, a crisp farmhouse ale. Either way, you win. prairieales.com. This collective in the wine-centric town of Carlton offers bottles from 13 regional producers, including top names like Hamacher and Andrew Rich, whose 2012 Knife Edge Pinot Noir is a must-try. winemakersstudio.com. 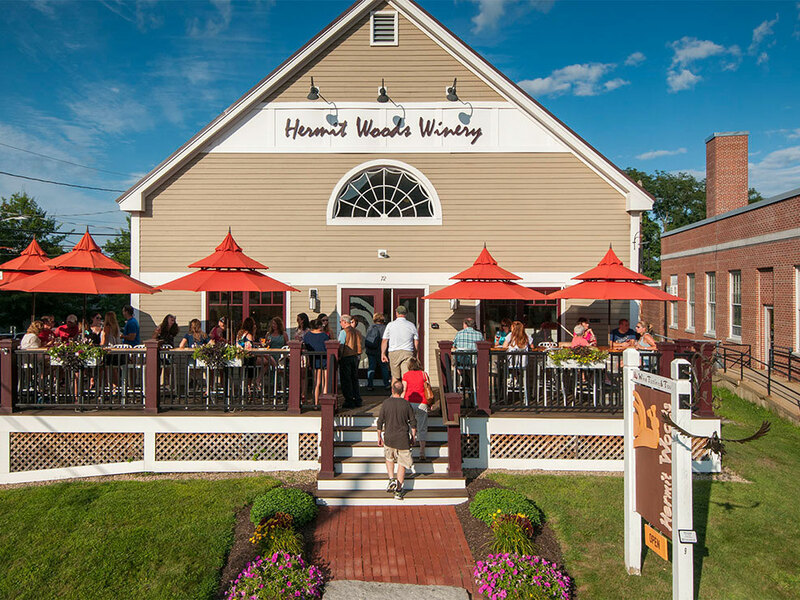 Head to this bucolic, Brandywine Valley winery and buy a bottle of its lemony 2016 Hopewell Vineyards Sauvignon Blanc to enjoy at one of the terrace tables under the trees. chaddsford.com. Visiting Newport? Make sure to stop at this brewery (and distillery) for its unfiltered Rhode Trip IPA. Or, if you’re a rum fan, opt for the smooth Thomas Tew rum, named after a legendary pirate. newportstorm.com. Baker turned distiller Scott Blackwell focuses on regional Southern grains at his downtown Charleston distillery. For a good example of his style, check out the maple-smoky New Southern Revival Sorghum Whiskey. highwiredistilling.com. These family-owned projects in the heart of the Black Hills region are next door to each other. Drop by after visiting nearby Mount Rushmore for a taste of the exceptional Black IPA. prairieberry.com; minerbrewing.com. Corsair’s Derek Bell and Andrew Webber live for experimentation, and the lineup at their Nashville distillery ranges from their Wildfire hickory-smoked malt whiskey to hibiscus-infused Red Absinthe. Take a tour and then taste their handiwork. corsairdistillery.com. Sample Texas cheeses and local chocolates alongside wines from three of the state’s top wineries at this Fredericksburg spot in Hill Country. And if the aromatic 2016 McPherson Cellars Cinsaut happens to be open, definitely don’t miss it. fourpointwine.com. For a shot of pure Utah-ness, head east from Salt Lake City to Wanship for High West’s unusual Valley Tan Whiskey, made with wheat and oats (a mash bill used by 19th-century Mormon distillers), distilled on-site and sold only in-state. highwest.com. Yes, hordes start lining up early at this vaunted brewery’s door in Stowe for a chance to score some cans of its famed Heady Topper Double IPA. But, frankly, we find all of owners John and Jen Kimmich’s world-class brews covetable, not least their hoppy, roasty, chocolaty Beelzebub Imperial Stout. alchemistbeer.com. Located just north of Charlottesville, Early Mountain produces standouts such as its vivid, citrus-tinged 2016 Rosé. It’s also a great place to taste other top local wines: A rotating selection is always available in its “Best of Virginia” program. earlymountain.com. Make an appointment at this boutique winery’s tiny tasting room in Seattle’s South Park neighborhood to try winemaker Ben Smith’s stellar, age-worthy reds, like the 2013 Bel Canto. cadencewinery.com. Whiskey fans flock to this distillery’s tasting room in Maxwelton to sample its acclaimed line of Old Scout bourbons. While there, be sure to pick up a bottle or two of the small-production and single-barrel releases you won’t find elsewhere. smoothambler.com. The cavernous, orange-walled taproom at this Madison favorite is perennially packed with beer lovers downing pints of impressive, whimsically named offerings like the powerfully hopped Ambergeddon red ale. aleasylum.com. The Mead family came to Kirby, Wyoming, in 1890 for ranching. They still do plenty of that, but now they also make remarkable whiskeys from local grains. Take a tour and finish with a taste of the Small Batch Bourbon Whiskey. wyomingwhiskey.com.